This story is featured in the Fall 2017 edition of the HPU Magazine. 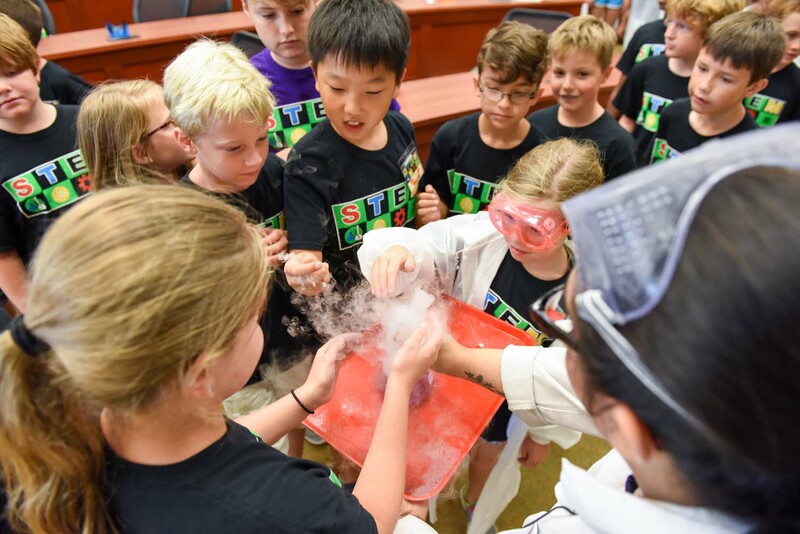 Discover below how HPU’s Stout School of Education HPU provides hands-on experience in STEM education. Courtney Chambers knew she wanted to be a teacher. Elementary education was the path she planned to pursue. But, it wasn’t until she came to High Point University’s Stout School of Education that she discovered her true passion and an avenue to her dream job — STEM Education. 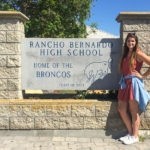 She quickly discovered that math and science were her favorite classes in the School of Education. Her professors knew how to make the subjects fun — a skill she admired. That’s when she knew that STEM (science, technology, engineering and math) education was an area she’d be interested in teaching. 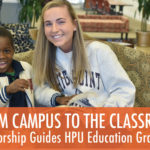 HPU alumna Courtney Chambers works with students. And the school made a path for her to pursue. Offering a B.A. to M.A. 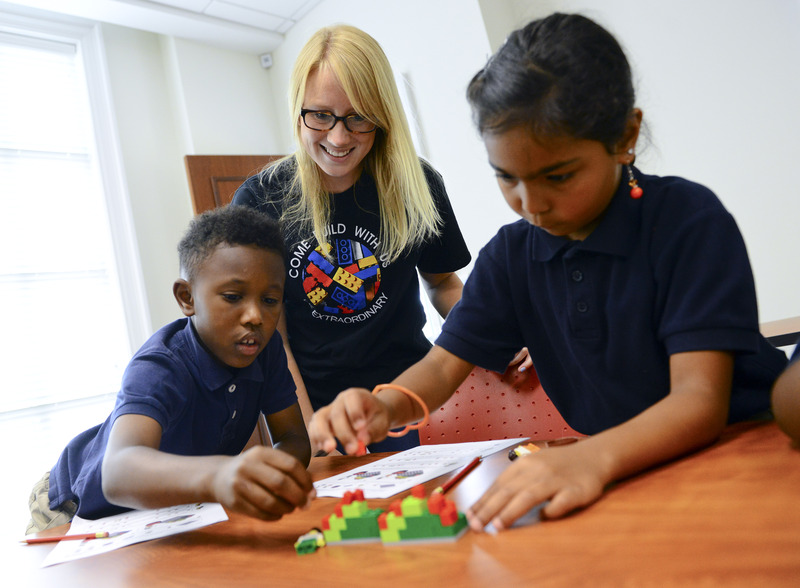 program in Elementary STEM education, the School of Education invites undergraduates to apply for a fifth year following the completion of their bachelor’s degree. In one additional year, students graduate with their M.Ed. in STEM education, making them specialists on the subject and in the field of elementary science and math instruction. 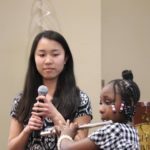 After graduating from the master’s program, Chambers heard of a charter school opening in nearby Charlotte, North Carolina. The school was a STEM academy, and Chambers knew it would be a rewarding career path. She’s now the STEM and robotics teacher for kindergarten through fifth grade at the school, and it’s nothing short of her dream job. Disseler is an associate professor in the School of Education and heads the STEM education program. As a Certified Lego Trainer, Disseler leads the Center for Educational Outreach and Teacher Training at HPU, where she works with local teachers in Lego Education product training. “HPU’s School of Education is known for the amazing Lego Days that Dr. Disseler hosts for the surrounding areas,” says Chambers. 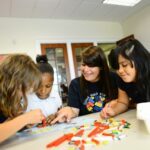 “While I was a student, I was able to work these Lego Days and learn all about the different Lego Education curricula available for the classroom. I was working hands-on with local elementary-age students using what would turn out to be the exact Lego products I have in my very own classroom today. 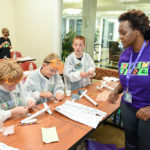 And Lego Days, which have welcomed more than 10,000 community children and their families to the HPU campus, are just one of the many ways that HPU students gain hands-on experience. STEM Camp is another. Each summer, the school invites community children to participate in 10 days of rocket-designing, slime-making and robot-building activities that provide elementary and middle school students with an outlet for learning essential math and science skills, disguised as fun. 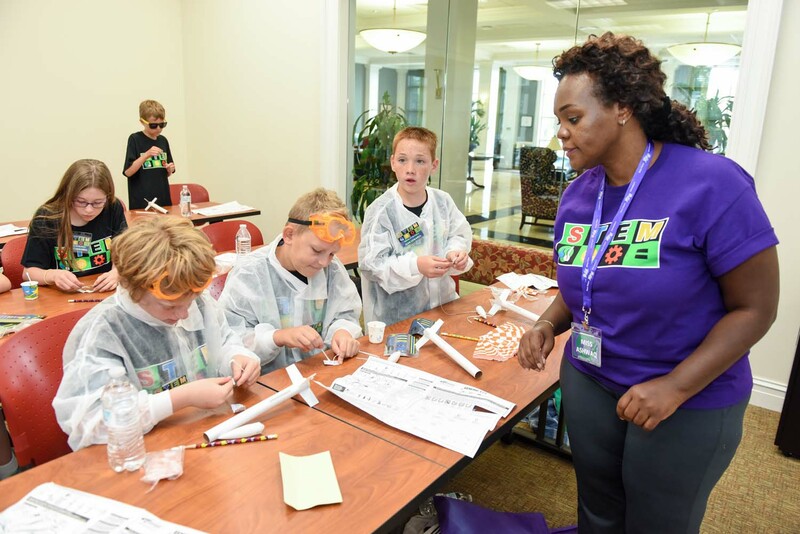 STEM is one of the many areas where HPU goes above and beyond to prepare students with real classroom experience. Another area is principal preparation. January 2017 welcomed the start of HPU’s Leadership Academy. The new program designed for aspiring principals was made possible by a competitive, $1.87 million grant established by the North Carolina General Assembly. The school was only one of five recipients in the State of North Carolina to be awarded the grant. 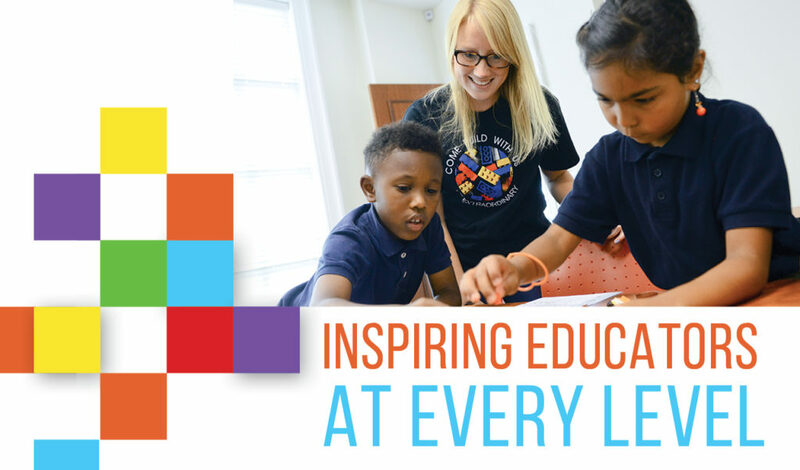 With a goal to transform low-performing schools into learning environments that result in high performance for all students, the High Point University Leadership Academy produces future principals after one year of intense groundwork, allowing them to earn alternative licensure in school leadership. The academy welcomed teachers from seven different school districts. Of those participants, Jairo Lopez, who attended HPU for his undergraduate degree, says that the program has prepar ed him for a higher level of leadership. 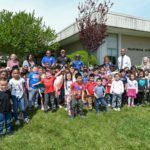 In December, Lopez will complete the program with a master’s degree in Educational Leadership and the certification to serve as a principal in a high-needs school. 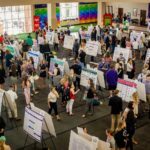 He says the experience has changed his outlook on the task, and he believes that HPU has provided him with the training necessary to make a difference.